Shopsassydream just got even better this time round, wanna know why? You'll know it at the end of this blog entry! 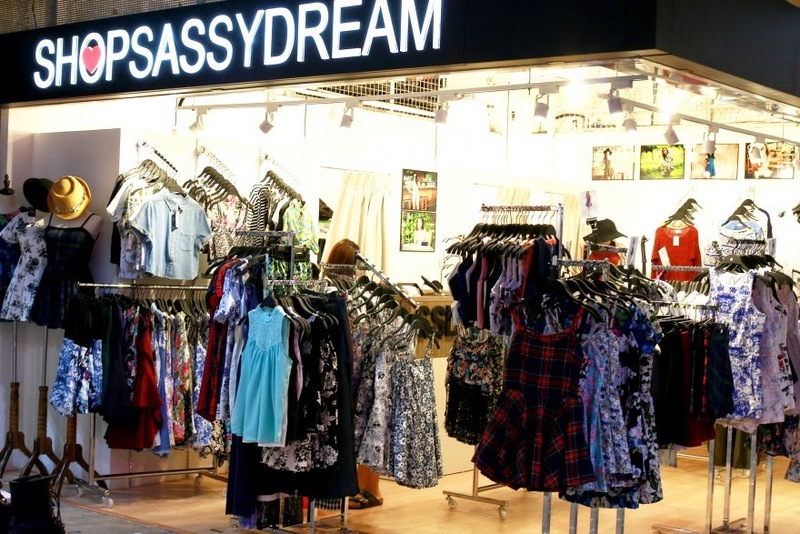 I cannot deny that shopsassydream is one of the online stores I had the bookmark on my browser ^~^ and I am sure all of you are familiar with the shop and need no introduction! Here's my picks from shopsassydream and I gotta say that my favourite pick would be SSD LABEL Cross hard Skater dress in pink!!! It fits me perfectly, quality is soo good and I rarely own pink dresses, this shall be my 3rd barbie pink dresses! Comfy tank, feeling really boyish for a day but who cares!!! \^o^/ and Shopsassydream is probably known for their comfy and pretty pieces and I think you should not miss it! Before I end this blog post, good things to share! Shopsassydream is having goodie bags giveaway!!! A total of 60 goodies bags worth up to $19.90 each will be given away~ For more details of this giveaway please follow their Instagram at @shopsassydream! To celebrate their opening of their flagship store, here's a good news!! DISCOUNT FOR YA! There will be 20% storewide discount including new arrivals as well. (valid from 3rd Oct till 5th of Oct!) Talking about October.... happy October guys! So near to my birthday HAHAHAHA. Omg... and you need to shop before the good deals are gone! !